subcarpati, 24 Feb 2014All I can say is Auto Hide Soft Keys, you will have true 6 inch ! best phone for his price ! J... moreHow to hide soft keys?also how to use the three icon if it's been hide? can anyone shows me the camera shot sample of a880?any web links? bought this phone for my wife last week. whatsapp still fail to use. cannot verify the code that receive by sms. anybody can help? the price for now at KL is RM470... more cheapest.u can find it at mudah.com.my.. also rm475 for 1Gadget Dot Com.At sabah, around Rm550-600. madu, 27 Feb 2014how to change the keypad into normal keypad instead of qwerty keypad?You mean T9 keyboard, right?.. Go to google play and install 'GO Keyboard'..
how to change the keypad into normal keypad instead of qwerty keypad? Pojie jb, 17 Feb 2014I have a Lenovo a880 and it was very satisfactory. no lag or hang at all. All works well and f... moreMe too. I can't use my we chat..and also how Stop predictive words in SMS??!! where to find in Egypt ???? Najib1312, 24 Feb 2014Price has dropped to RM510! Yipppeeee!!! !Can you tell me which shop to buy at around KL area? Thanks. All I can say is Auto Hide Soft Keys, you will have true 6 inch ! 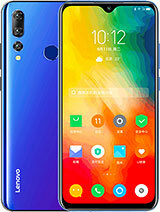 best phone for his price ! Just go for it ! Price has dropped to RM510! Yipppeeee!!!! AnonD-234939, 22 Feb 2014The model S939 is latest model with Octacore processor and 8mp camera. 6 inch like A880. The a... moreHaha......don't worry. I've never been interested in Samsung and I'm well aware of the fact that their phones are overpriced. I have never even suggested Samsung phones to my friends. My preferred phones have always been Sony due to their well-balanced price-specs ratio (e.g.Xperia SP, C, TX, ZR, ZL etc). 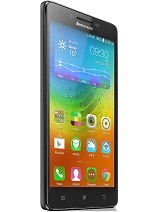 Only this year I have been impressed by Lenovo's new line of products which provides even better price-specs ratio. 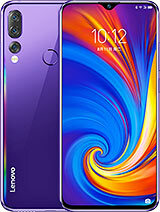 Regarding Lenovo S939, yes I'm well aware of this device but to be honest, I prefer S930 which is RM230 cheaper since it has better design and dual speakers. My S930 got 17,500 Antutu Score and I consider that more than enough since i can play ALL HD GAMES (N.O.V.A, modern combat, asphalt 8, shadowgun, etc) without lags. Trust me, the dual speakers are really AMAZING! Plus, I'm not yet convinced in spending RM1000 for Lenovo, which is admittedly less popular. Might as well just add few more bucks and buy Xperia ZR/ZL/Z which is more popular and advanced. Najib1312, 12 Feb 2014Finally GSMArena has added this phone to their database. Had a chance to play with this dev... moreThe model S939 is latest model with Octacore processor and 8mp camera. 6 inch like A880. The antutu benchmark score is 28500, beating Samsung Galaxy S4. 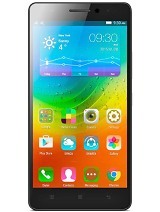 Price RM999... at those two popular wholesale phone shop. (name disclosed). I suggest we Malaysian should not buying Samsung product....selfish and arrogant K-Pop phone. Najib1312, 17 Feb 2014I've paid only RM535 for this phone. 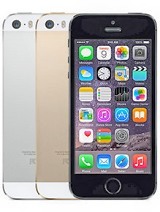 For that price, this phone is AMAZING!! 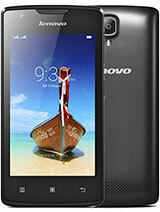 A If u r willi... moreDo you know the S939 is being sell in Malaysia for rm999. 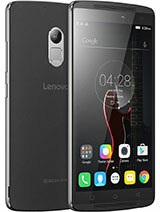 This is the latest Lenovo, 6 inch octacore phone. Antutu score 28500, faster than Samsung S4. Its not in GMSArena yet but already on sale in DrctD and 1Gajet. If you got extra money buy this rather than Samsung. Samsung is going down this year.